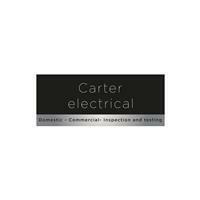 Carter Electrical - Electrician based in Sheffield, South Yorkshire. Carter electrical are a local, reliable, professional electrical installation company that can cater for all your electrical needs for both domestic and commercial. With over 17 years’ experience carrying out all types of work ranging from full rewires to changing a single socket. No matter how big or small the job is we offer free advice and no obligation quotes.